Editor’s Note: This is a guest post written by Amanda Krauss, a learned Latinist, former professor of Classics, and current tech guru. You can also find it cross-posted on her blog Tech in Translation. I spent this weekend in Vancouver, at IA Summit. “IA” is short for information architecture, and as a discipline its whole purpose is organizing web information for humans. It covers everything from making a website nav bar useful to creating a user-friendly database out of wacky government information. And the folks who do it aren’t necessarily people who code, by the way. This is its own tech discipline, and if you’re obsessively organized and enjoy thinking about categories, you’ll find your people here. I was supposed to present a poster about organizing the classical corpus online. Unfortunately, before the conference, I had the kind of week that started with me losing my passport, and got steadily worse. I did get my passport, and made it to the conference, but that was about it; neither myself nor my poster was in any shape to present. Luckily, my buddy Todd invited me to write this post, about the same topic, and with more room to develop my ideas. Of course I said, Yes please! That’s not publishing IMHO. While you’ve put the picture, or the PDF online, you haven’t published the actual material that lives inside the document. You could really argue it’s more akin to fancy photocopying (just with mass distribution), rather than to anything inherently digital; the meaning remains trapped, first in papyrus, then in paper, and finally in PDFs. To make an artifact speak the native language of the web, we need to extract the text, marginalia, and maybe even illuminations into data that computers (and tech people) can read. I know it may sound heartless to talk about ancient texts as “data”, but realistically, structured data is really what the web is built on. PDF’s are shareable, for sure, but they’re not re-mixable, for lack of a better word. If I’m making a website, for example, and I want to use the material inside the PDF, rather than the PDF itself, I’ll have to take steps to extract and transform the data — unless, there’s a nice source of structured data already available. In terms of putting stuff online, DH tends to assume experts. I know that many would argue with that, and I also know that the NEH prefers projects that serve the common good. I believe this is a good faith effort. But one of my points here is that we haven’t really built an architecture that is capable of serving the general public. And even the NEH grant announcements considers data projects those that are “searching, analyzing, and understanding large bodies of material”, rather than structuring the existing data for public use. One thing I learned at the IA Summit was that often you can’t organize information just once: two different audiences might require two different information systems. Etsy, for instance, had to use two different tagging systems: one for its makers (who are experts in the craft they practice) and another for its buyers (who were really shopping for a certain feeling, without expert knowledge). An expert might make a beautiful cloche hat and list it for sale without ever using the word “hat”. This made it impossible for would-be hat buyers to find. It’s a familiar problem, when you let experts run things. Lacking beginner’s mind, they create material that’s impossible to navigate for actual beginners. I’m more concerned with publishing the materials for a more general audience. And now, after this conference, I’m surer than ever that we need to think of public humanities as a separate project, with a separate information architecture. I’d like something similar for Classics and other dead languages. I’d like well-documented APIs and truly public web projects. But that won’t happen with the current state of information architecture. DH could certainly learn from modern web practices, just as modern web practices might learn from Classics – which was, after all, a very early adopter of technology. Even before the Perseus project there was Pandora. Not the music app, but the HyperCard-based dictionary tool. It was an ingenious hack at the time. As Texas prepares for this year’s gubernatorial elections, we at the Texas English Project wondered: What role does language play in this campaign? 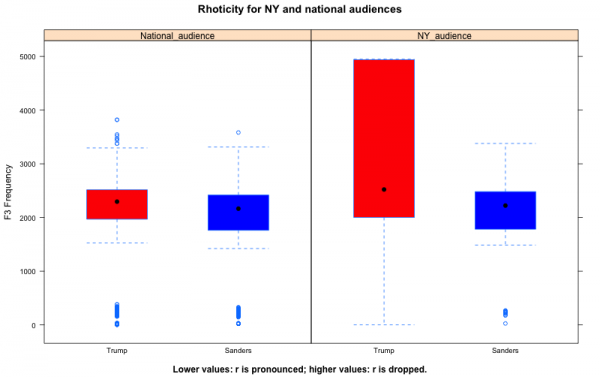 Beginning with Barack Obama’s first presidential campaign, the linguistic performance of major candidates has attracted a new kind of interest from linguists, journalists, and political commentators. While candidates’ ways of speaking have always attracted commentary, Obama foregrounded a new dimension of political speech: stylistic versatility. More specifically, it is Obama’s ability to code-switch between an unmarked, mainstream-American speaking style and speaking styles that are identifiable as coming from the African-American community. Samy Alim and Geneva Smitherman have written about Obama’s language use both in the New York Times and in their 2012 book called Articulate While Black: Barack Obama, Language and Race in the U.S.. 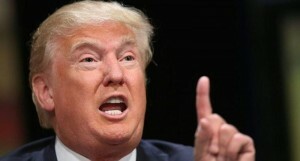 They show how Obama’s stylistic versatility sets him apart from other, more traditional candidates for president. 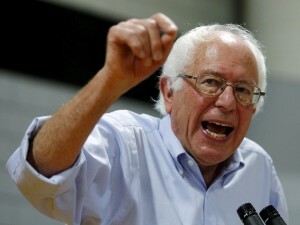 For example, they argue that Obama’s 2012 opponent, Mitt Romney, was perceived by the public as flat and invariable, relative to Obama, and that this was due in part to his relatively homogeneous, monostylistic way of using language. Does language use distinguish political candidates at the state level the same way it does at the federal level? Are there meaningful differences between candidates in terms of linguistic-stylistic versatility even when they both belong to the same (majority) ethnic group? Is linguistic versatility typically more prevalent in the speech of Democrats, as the example of Obama might suggest? In order to be able to think about these questions in more detail, we decided to conduct a study of publicly available recordings of both Greg Abbott and Wendy Davis. We set out to find evidence of stylistic versatility in each. It should be clear that we would not expect stylistic variability to be expressed the same way in the two Texan candidates as it is in the President. In other words, we would not expect to find, in either Greg Abbott or Wendy Davis, code-switching behavior between mainstream U.S. English and an ethnically specific variety such as African-American English. However, both candidates spent much of their formative years in Texas: Greg Abbott, who is 56 years old, was born and raised in Dallas County; Wendy Davis, 51 years old, moved to Fort Worth with her family at age 11, coming from Rhode Island. 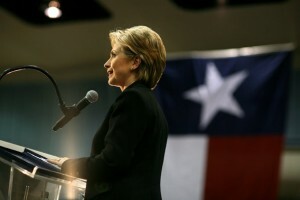 So while Abbott’s exposure to Texan-sounding English in childhood started at an earlier age, Davis was immersed in a Texas-English-speaking environment at a sufficiently young age to still be influenced by it, enabling her to acquire familiarity with, and possibly partial proficiency in, the Texan way(s) of speaking English. While both candidates have some access to Texan speech forms, they also both grew up fully aware of the supra-regional standard of American English, to which they were exposed through the media, their education, their proximity to a large city, and so on. Thus, both Abbott and Davis have the linguistic resources to vary between more Texan-sounding and more mainstream-U.S.-sounding speech. We can with good reason assume that, like President Obama, they will find it expedient to speak in a more Texan-sounding style in some situations and in more mainstream-sounding style at other times. In our first pass at the data, we formed a “Texas Accent Index” (TAI) for each of three vowels which may be pronounced differently according to whether the speaker has adopted a Texas-style speech variety or a more mainstream-U.S. variety. The vowels chosen were i as pronounced in the word price, a as pronounced in face, and e as pronounced in pen. For example, the vowel i also occurs in the word right: a more Texan pronunciation of this word might have a pronunciation which we could spell raht. The vowels a and e also show differences between Texan speech and a mainstream-U.S. variety. The index was calculated as follows: for each vowel, the total extent of possible variation was taken to expand from the lowest to the highest value for that vowel in our entire dataset. For each of Abbott’s and Davis’s vowels, then, we calculated its position on that scale as a proportion of the overall range of variation. Thus, we obtained a value between 0 and 1 for each vowel from the candidates. 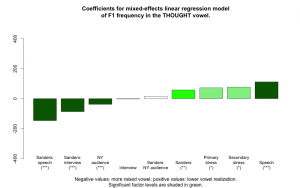 The scales were oriented so that, for each vowel, values closer to 1 indicated that realizations were “more strongly Texan-sounding”, while values closer to 0 stood for realizations that were “more like mainstream U.S. English”. As Figure 1 shows above, Abbott’s mean TAI scores for all three vowels are higher than Davis’s. This observation is in line with every hypothesis we had about the data: more local-sounding speech is typically associated with males more than with females, with older speakers more than with younger speakers (although the age difference between Abbott and Davis is only five years), and in addition, Abbott has the biographical “advantage” of having spent his entire childhood near Dallas, which gave him greater exposure to Texas forms of speech, compared to Davis’s late start at age 11. 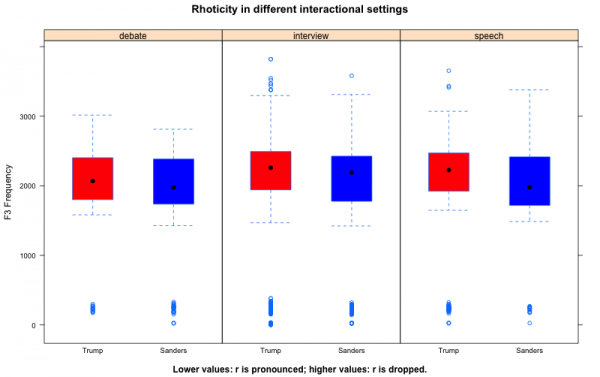 Returning now to our original interest in versatility, we will look at each vowel individually, and subsequently try to see if we can explain any variation in the two candidates’ use of these vowels in the different speaking contexts that we captured by our selection of data. Results for the PRICE vowel are shown in Figure 2 below. For this vowel, the larger the F1 delta, the closer to the mainstream American English pronunciation a given pronunciation is. Thus, in our graph, lower bars indicate more “Texan” pronunciations. The two horizontal lines show the means for two control groups: model Texans, with speech characteristic of a Texas variety, and neutral Texans, with speech closer to the mainstream-U.S. variety. Abbott pronounces his PRICE vowels more closely to the local, Texas English norm than Davis in every context we studied: the chart shows his PRICE vowels clustering around the horizontal line for the model Texans in every context. Davis, on the other hand, orients much more to the neutral Texans: in three out of five contexts, she even out-performs the neutral Texans, achieving mean F1 delta values that are even higher than the mainstream control group’s. In other words, Davis avoids this stereotype of Texan speech even more strongly than the neutral baseline. It is interesting to consider how context explains both candidates’ variation for this vowel. 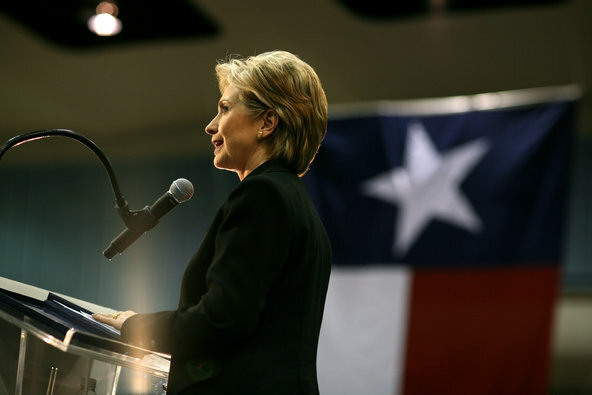 Davis varies in a way that can easily be explained by her audience: she has the least amount of modulation in the vowel at a local campaign event in Texas, where she addresses (almost) only locals; the highest (closest to mainstream) value is achieved at the campaign announcement, a highly formal event whose audience can easily be thought of as “the whole world”, i.e. transcending Texas. By contrast, Abbott’s variability is rather small, and the difference among contexts cannot be explained very well by audience type. If we consider only this vowel, it appears that Abbott just talks the way he talks: with a fairly low F1 delta for PRICE, close to the model Texan norm, and differences among speaking contexts seem more or less incidental. Figure 3 below shows results for the FACE vowel. Note that the low/high mapping to the Texan/mainstream binary here is reversed: larger measurements for the F1 delta indicate a more traditionally Texan-sounding realization of the vowel; smaller measurements are more like mainstream realizations. Correspondingly, the horizontal line for neutral Texans is lower than the line for model Texans. The results reflect the fact that the lowered beginning of the FACE vowel that arises in Texas English (the pronunciation of face could be written fice) is a less stereotyped feature of Texas English than the variation in PRICE: speakers are not as fully aware of the feature, so they apply less conscious control to it. The picture is less orderly. 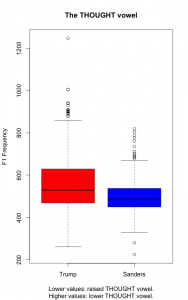 Even though the TAI values for this vowel tell us that overall Abbott’s performance on this vowel is consistently closer to the model Texan norm than Davis’s, his average F1 delta values are only larger than Davis’s in two out of five contexts, while Davis’s are higher in the others. It is interesting that Abbott out-performs Davis most strongly on this index of Texanness at the local campaign event, a rally with the country singer Ted Nugent. 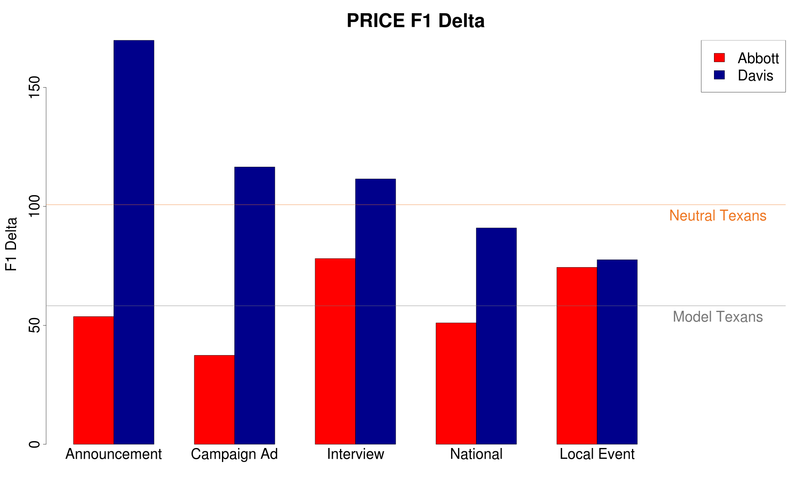 Recall from Figure 2 that for the PRICE vowel, Abbott and Davis were basically on a par for the “local event” context. This finding might be explained by the fact that quite possibly, even Abbott applies some conscious control to his vowels: he may have been overcorrecting against assumed expectations at the Ted Nugent event, intentionally avoiding overly clichéd pronunciations of the strongly stereotyped PRICE vowel. And so – even though the event headliner was a rock star appealing to a conservative fan base, and even though the audience was made up mostly of locals – he did not over-perform on flattened PRICE vowels. By contrast, the FACE vowel is not as much controlled by speakers’ awareness. This may explain why on this vowel, Abbott performs exactly according to the hypothesis that local events with local audiences would trigger the most local-sounding speech. Another remarkable fact is that in the two campaign contexts (Campaign Announcement and Campaign Ad) Davis outperforms Abbott in terms of the localness of this vowel. Davis is a speaker who, overall, avoids sounding like our model Texan control group, but for a vowel feature that has as little stereotype attached to it as FACE vowel lowering, she may – more or less consciously – converge to the Texan norm, despite her overall design. Finally, we note that the Campaign Ad context shows basically the converse picture to the Local Event context. A TV ad for the campaign is, arguably, the speaking context that holds the greatest potential for candidates to plan their way of speaking. 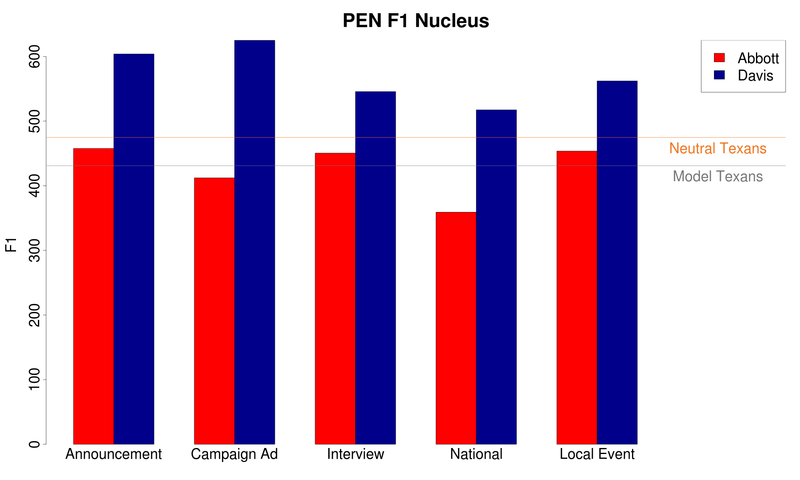 In other words, candidates are most likely to “perform” in an ad. In this context, we find Abbott using very clearly de-accented, or mainstream-like, pronunciations of the FACE vowel, while Davis uses pronunciations that are very strongly Texan-accented. In other words: Abbott projects a supra-regional face in the ad, while Davis projects a local, Texan identity by her language use, at least for this vowel. Meanwhile, at the local event, we would expect much more spontaneous (and less performative) kinds of language use. Here, we find Davis using forms of the vowel that are closer to the mainstream norm (i.e. 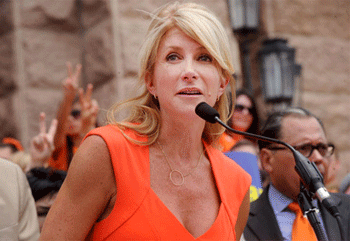 closer to the “Neutral Texans'” values), and Abbott choosing Texas-accented vowels. It appears that the two candidates’ approaches toward Texas-accented speech are each other’s opposites: Davis, despite her exposure to the Texas accent in childhood, was socialized primarily as a speaker of mainstream U.S. English. Given the chance to plan and perform her speech, as in the recording of a campaign ad, she projects a recognizably local character. Abbott, meanwhile, speaks with the Texas accent more naturally (as the local event context shows) — but when planning his performance on the recorded campaign ad, he makes an effort to show that he is also capable of speaking in a mainstream-accented way. We will return to these observations in the conclusion below. Texas English typically raises the PEN vowel — our way of referring to the short e vowel before nasals (m, n, and ng). For example the word men in Texas speech often comes out as min; the words gentle and reMEMber, among others, show a similar variation. Even though younger speakers use this Texas accent feature very widely, it is not very strongly stereotyped: Texans do use this accent feature, but they don’t talk about it much. As Figure 4 above shows, Abbott and Davis diverge very consistently on this feature. (Note for this chart that higher values indicate more mainstream-like vowels, and lower values indicate more Texan-sounding vowels.) Abbott’s PEN vowels, in keeping with his Texan roots, cluster around the model Texan baseline. Meanwhile, Davis’s measurements are not just as high as the neutral Texan control group’s — they are consistently higher than the baseline. This finding confirms not only that, as one would expect, Davis failed to adopt some of the accent features of Texas English, especially in the case of a feature such as this, which is adopted and advanced by children. It also supports our impressionistic observation that Davis has traces of a broadly West Coast accent: lowered PEN vowels are an innovative feature of California speech. Given Davis’s biographical influences (Northeast/Texas), we find ourselves only able to conjecture why she might exhibit this accent feature. 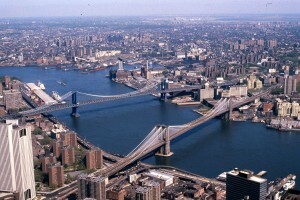 It is possible that she aims toward an accent that stands for a modern, Californian, female American. At any rate, Davis clearly disregards the local, Texas-accented norm for this vowel class entirely. Both Abbott and Davis show linguistic versatility across speaking contexts. While Davis is slightly more linguistically versatile than Abbott, Abbott is clearly and more consistently oriented to the norm of Texas-accented English. 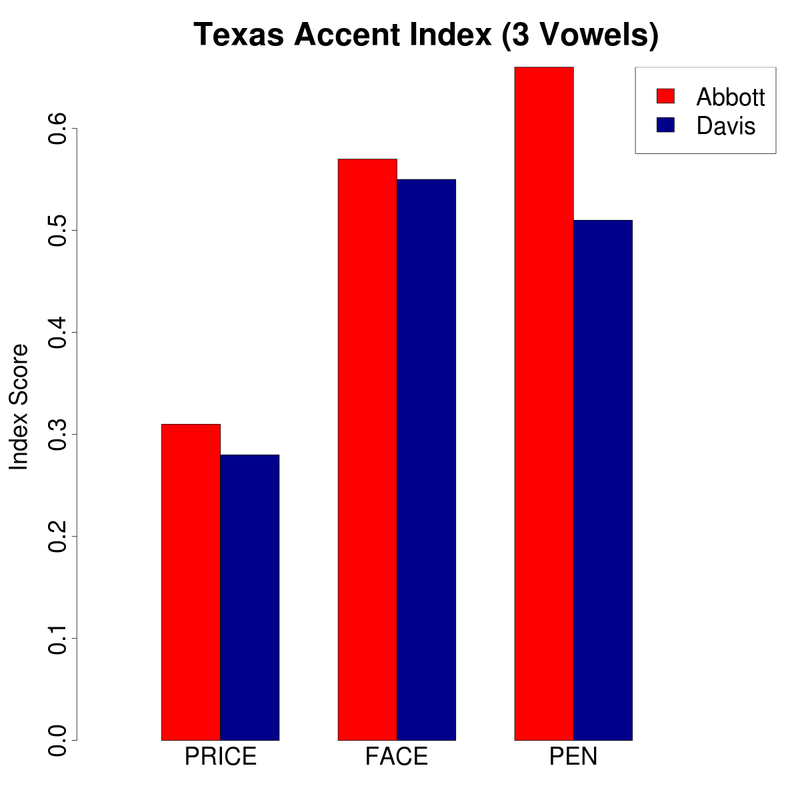 Considering our findings for the three vowels together, Davis emerges as predominantly using a mainstream U.S. English accent, while Abbott aligns, in most contexts, with the Texas accent of English. 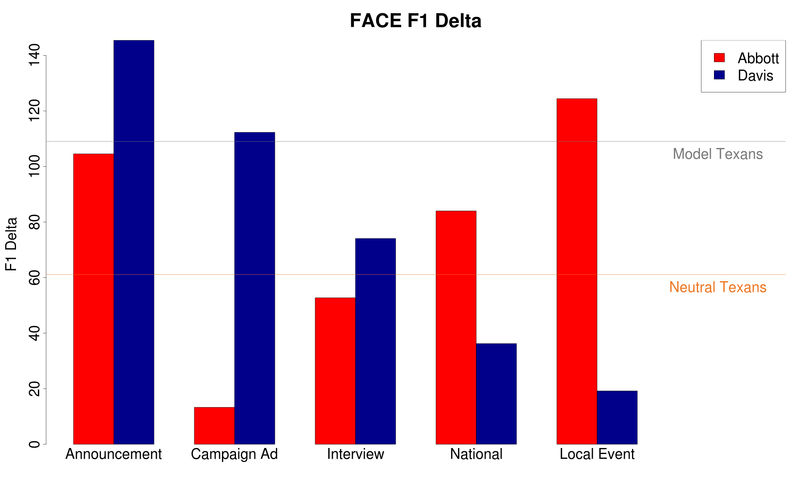 Remarkably, both candidates depart from this pattern in their respective campaign ads: here, Abbott tempers his Texas accent, while Davis puts one on, if only partly: modification of the FACE vowel is the only Texas accent feature she seems to occasionally embrace strongly; for the other vowel classes that we studied, Davis showed an overall robust orientation toward mainstream U.S. English. Editor’s Note: The authors explain in a second post some of the details behind their analysis of Texas speech.